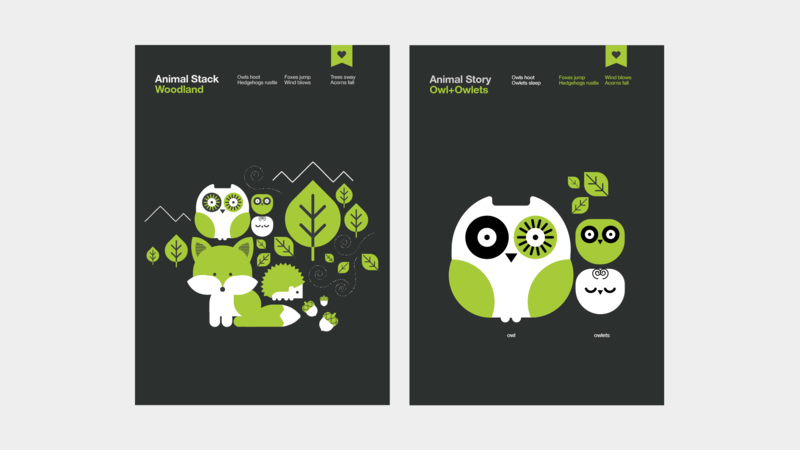 Simple and iconic Stackable Animal illustrations, originally designed for my daughter's nursery. 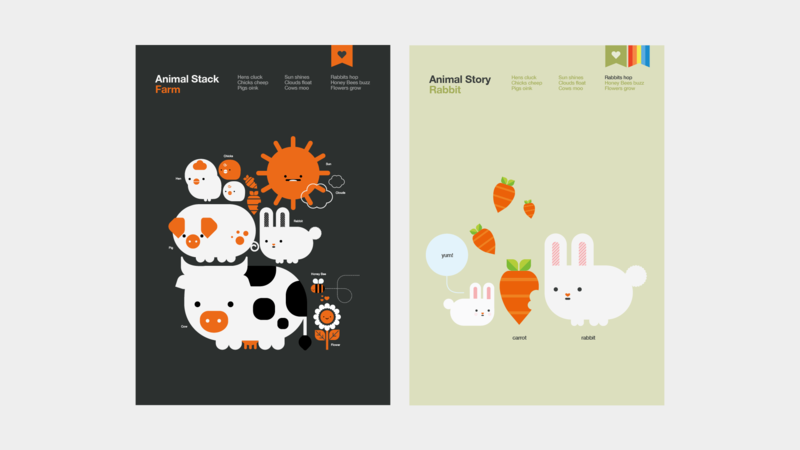 These were applied to posters and apparel. 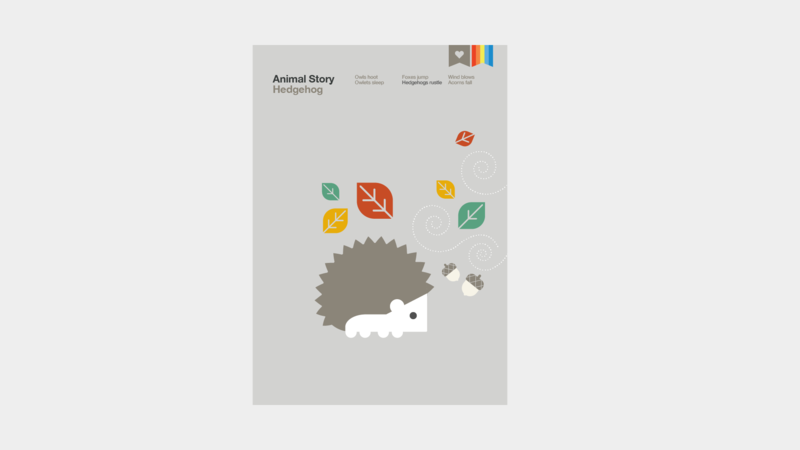 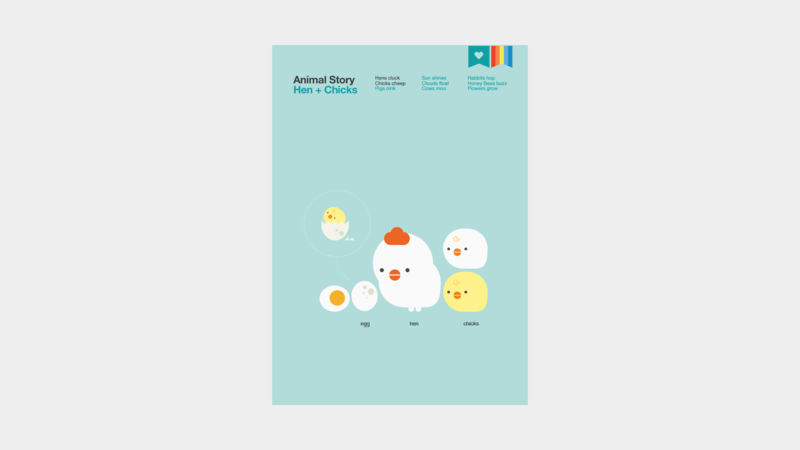 The Story poster series were designed to encourage simple story telling from informative illustration. 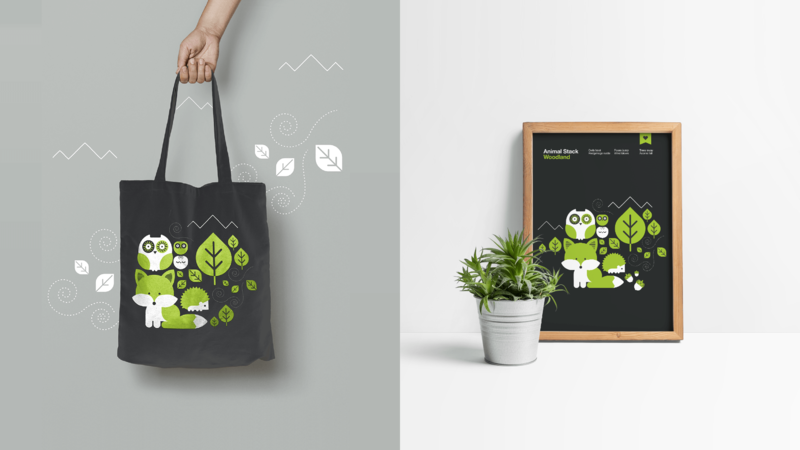 You can buy these prints and apparel from here.